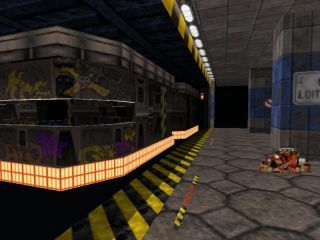 A reasonably old level but a good one nonetheless, City of Screams is an above average urban themed map with fantastic gameplay and very good use of sector effects, including a double subway system. Texturing and layout are very good and shading is realistic, if you haven't played it before you're missing something - possibly a hippocampus. Misc. Author Info     : This is a single player/co-op/deathmatch map. Other Levels          : Ground Zero (ground0.zip), A few tutorials. 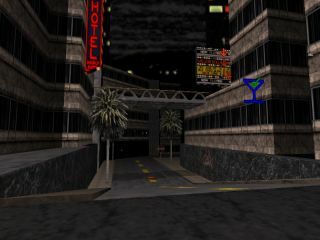 Description           : A single player city-style Duke Nukem map. 3DRealms for making such an awesome game. doesn't happen with the built-in Atomic bots, though. version is authorized for distribution. (Including TCs). extremities, seizures, bleeding from the eyeballs, incontinence and death. Send me email if you have any questions, ideas, problems, death threats or criticism.